Complete luxury awaits you in this 3700 sq ft private, exclusive townhouse located in the lower Deer Valley area of Park City, Utah. 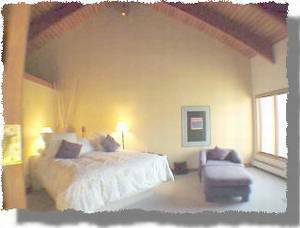 The property comfortably sleeps 12 and offers many features to compliment your stay including breathtaking views of the ski runs and mountains, oversized rooms, designer furnishings and accessories through out, and a private hot tub on the front deck. 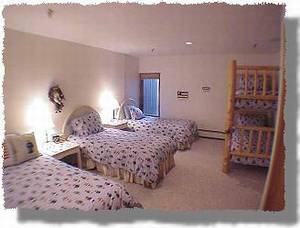 The world renowned Deer Valley Ski Resort is just minutes away and the free shuttle bus picks you up from your door. 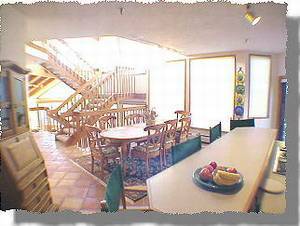 This superb location is conveniently located within walking distance of downtown Park City and its excellent restaurants, bars and unique shops. 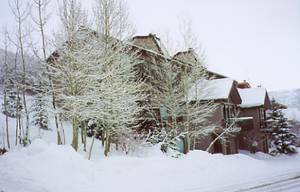 This Deer Valley Pinnacle townhouse is within a five-mile radius of three world class ski areas: Deer Valley, Park City and The Canyons. If you are looking for a variety of resorts to ski, the other major ski areas such as Alta, Snowbird, Brighton, Solitude, and Sundance are less than an hour drive. The property is equally desirable in the summer as the area offers a multitude of recreational activities including golfing (several gorgeous mountain courses), fly fishing, hiking, mountain biking, boating and water sports (the Jordanell Reservoir), all of which are less than a 30 minute drive. This 3700 sq ft luxury Pinnacle townhouse has it all - incredible views, private hot tub & great location! This spacious kitchen seats 4 people at the bar counter and 8 people at the pine dining table. 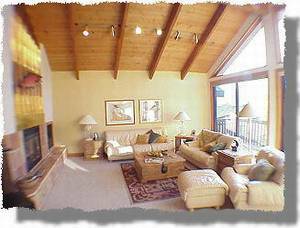 Large great room showcases wood vaulted ceilings and breathtaking views of Deer Valley Ski Resort. 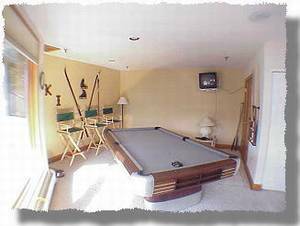 Play on this regulation size pool table located on the lower level of the townhouse. This elegant master bedroom has an insuite spacious bathroom with a jacuzzi tub. This bedroom has a King size bed with a large attached bathroom. 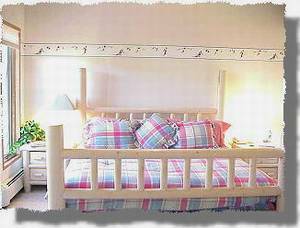 This bedroom is great for the kids as it has 1 queen, 2 twins and 1 bunk bed set and will sleep 6. Enjoy and relax after skiing in this private, outdoor hot tub. Best skiing ever,wonderful place, shuttle really great, keep my sec. deposit as down payment on next years rental, we're coming back. G.W , Dallastowm, Pa. Cancellations and Refunds: * Payment is by check or money order. 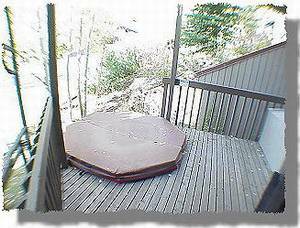 !/2 the rental is due wih signed rental agreement, balance due 60 days prior to move in date. * If you cancel and we are able to re-rent your unit, you will receive a rebate equal to the amount we recover less a $300 handling fee.